Decluttering lives & homes is one man's mission in this light, healing drama. 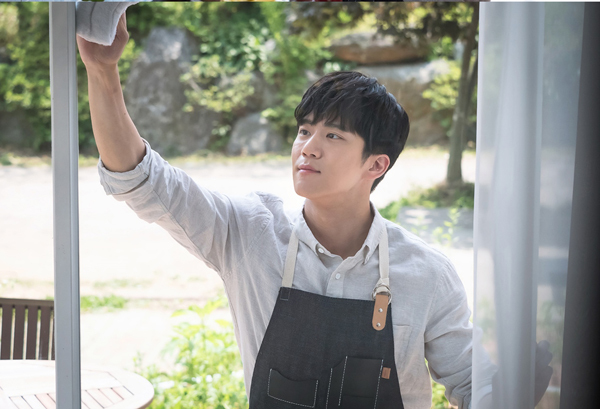 Your House Helper premieres as another webtoon adaption with housekeeping as a fresh new theme. 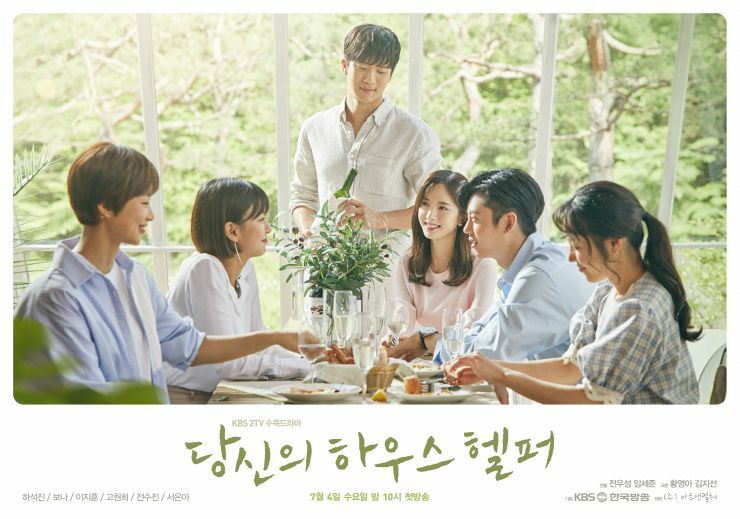 Kim Ji-Woon (Ha Suk-Jin) is the perfect house organizer, his magical touch rearranging the lives of those struggling with personal everyday issues and relationships. His skills span from simple chores to home improvement, catering to each individual who requires his aid. He becomes the Housekeeper of four high school alumni all in rough situations and problems of their own, after Lim Da-Young (Bona) an Intern at an Ad agency, lists her home as a share-house. Grappling with debt after the death of her parents, Da-Young reluctantly learns to let go of the past and allows the immaculate Ji-Woon into her life. 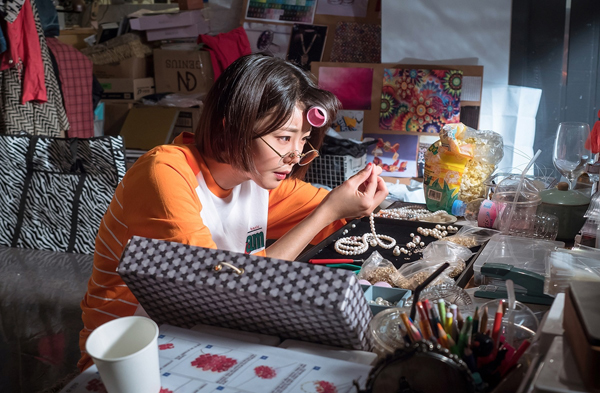 The other three women that make up the high school alums include Yoon Sang-Ah (Go Won-Hee) a jewelry Designer, who moves out after breaking up with her boyfriend, Kang Hye-Joo (Jeon Soo-Jin) an accessories Seller, and Han So-Min (Seo Eun-Ha) a woman who owns a nail salon and suffers from androphobia (fear of men) due to a traumatic experience. 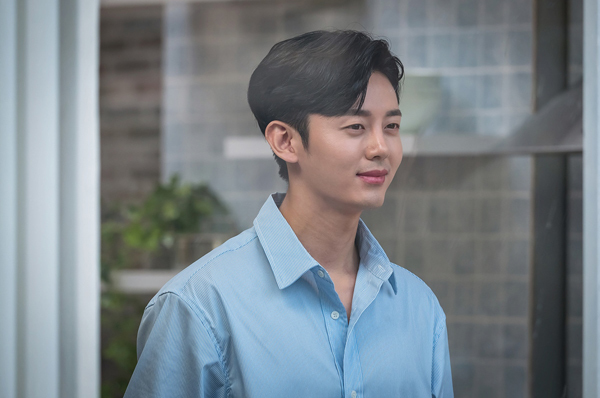 Another character that's been introduced that has some sort of connection to the four women is Kwon Jin-Kook (Lee Ji-Hoon) a successful Lawyer. The link between him and the four women remains a mystery throughout the drama's pilot episode; I'm assuming he went to high school with them from his reactions towards Sang-Ah but it's yet to be revealed. 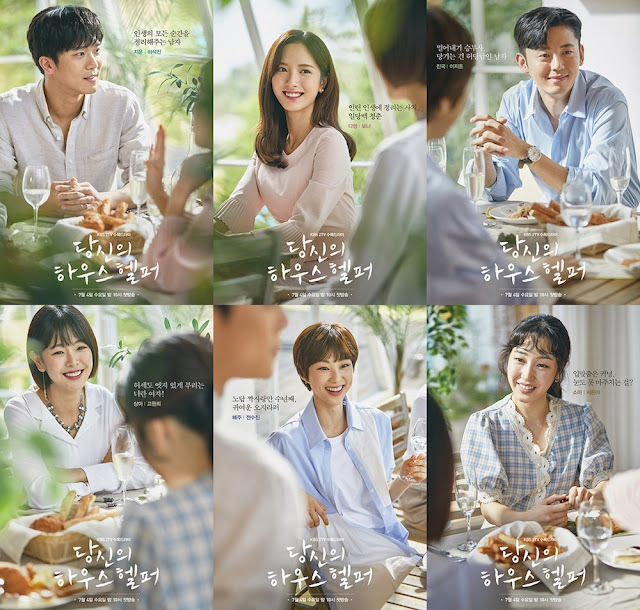 The drama stays true to being light with a humanistic touch, depicting this through its characters and how they'll each go through a process of healing. It has a steady pace and is light with it's cinematography and tone in order to depict characters who are people with relatable issues. At times, the progression of the show is slow but it wouldn't be the first drama with a slow start, although a part of me feels like the pilot episode has given us the overall tone and feel of the series as a whole. Another thing worth mentioning is how the Director changed up the drama during the script and filming process. Ji-Woon apparently possess more fantasy components to his character, literally being this 'magical' Housekeeper. So think along the lines of Nanny McPhee meets Mr. Clean rolled into one.This kind of exaggerated character was one the Director wanted to avoid, brushing Ji-Woon down to be more realistic and describes the webtoon as "taking leaps beyond reality" and that was something he wanted to distance the series from, since the type of material the webtoon covers would be translated awkwardly onscreen. I haven't read the original webtoon, so I'm not sure if there are any major changes to the characters other than age, and I'm not sure how the plot has been altered (if drastically altered at all) but viewers should be warned that this is not an exact replica or follows the same format as the webtoon. I think my favourite character so far is Sang-Ah's dog and I say that because we're given glimpses into our characters lives but there still seems to be a lack of depth, and that's something the drama will hopefully overcome next week when the share-house tenants move in. It does proclaim itself as being relatable, showcasing the average person's plight so I hope it tugs at a few of my heartstrings and has me invested in it. 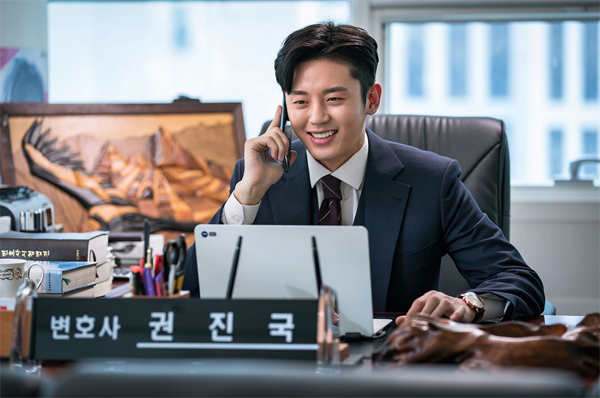 I already have my mid-week drama fix from What's Wrong With Secretary Kim which also happens to be a webtoon adaption, but one that's more by the book so it will be interesting to see if a series which deviates from it's source material can succeed in winning the hearts of viewers. I'm not even sure if the webtoon is madly successful in Korea, but considering how it's been chosen among millions of webtoons out there, it must have some sort of appeal with readers. The question remains if that appeal will resonate with drama viewers though, especially when there's so many other dramas airing at the same time. I do like how different this is from what's out there since we're finally given a new occupation, and one that's more common and less grand. And it's nice to see themes like organization and minimalism within a show, making us question how we clean our own lives and what we value most. In this regard, I think the drama has already proven a point and there definitely will be viewers who can read into episodes more and see the analogies between cleaning one's home and their personal lives. My only concern is whether this will captivate and keep people interested throughout its course, as a premiere however, it's solid and promises to be villain free (a blessing if you ask me) so the lack of antagonism gives it another refreshing aspect. So here's to good guys and squeaky clean homes! I'm watching this for the expert cleaning tips before deciding if I'm in or out. I heard that in the webtoon, the male protagonist is very stingy and mean to the female clients he cleans for, so I was doubtful at first about Ha Sukjin's casting because his recent roles are in the latter category. However, I later learned that the character's personality has been softened down for the adaptation, so I'm hoping to see more of the drama. I'm quite surprised, I had no idea that was the case so thank you for sharing! I'm definitely glad for the character change if Ji-Woon is that crude in the webtoon, and I had the same worries. Suk-Jin's roles have been carbon copies of each other so it's nice to see him play something different. Thanks for the review. This sounds interesting and it's nice to see a new occupation in a drama rather than the typical chaebol, Dr or prosecutor. It can be a little laggy and drags so your interest could easily be diverted but it's also so refreshing because of the occupation change and how it promises to be a 'healing' drama through cleaning.